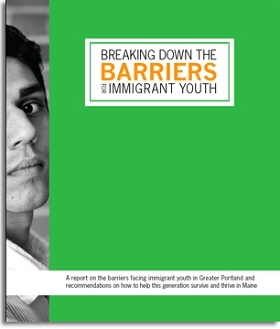 This report is the culmination of a project designed to identify strategies for overcoming barriers to success for immigrant, refugee and asylee youth in Greater Portland, Maine. The project was funded by the Hudson Foundation, a Maine charitable foundation that has been funding efforts to improve the lives of Mainers since 1992. During the project United Way of Greater Portland provided additional support. UWGP, who is strategically focused on healthcare, income and education, provided additional funding for community conversations. 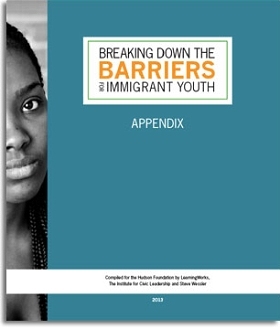 The Breaking Down the Barriers for Immigrant Youth Appendix provides a Community Resource Inventory (Appendix A) and outlines, “Who is Doing What in Maine?” (Appendix B). We hope that these two appendices will be good resources for those who have read the report and are interested in taking action as either a funder, volunteer or both. 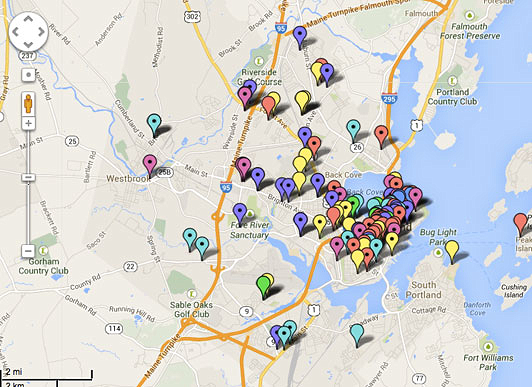 Community asset map highlights the concentration of goods and services for immigrants and refugees in Portland.